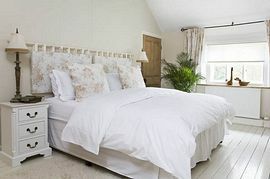 These delightful luxury cottages are situated in the picturesque conservation village of Nunnington, in an Area of Outstanding Natural Beauty, between the Vale of York and the North York Moors National Park, surrounded by the beautiful scenery of the Howardian Hills. 5* Rosedene Cottage: Sleeps 4 in two bedrooms. 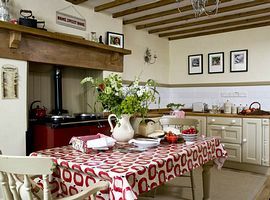 4* Strawberry Cottage: Sleeps 2 in 1 bedroom. 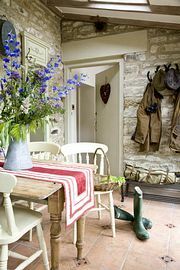 Both cottages are over 250 years old and are set in a beautiful large shared cottage garden, with views across the Vale of Ryedale, a pond, (Young children to be supervised) Sitting out areas and a vegetable patch where guests are welcome to pick their own fruit and vegetables in season. Just a short stroll from the Royal Oak Inn, serving meals, and the National Trust's Nunnington Hall on the banks of the River Rye, with walled garden and 8 acres of organically managed grounds to explore. Castle Howard, Helmsley and Duncombe Park are nearby; Pickering is home to the North York Moors Steam Railway, whilst the ciry of York is just 20 miles away. Drive over the moors to the coast at Whitby, Staithes and Robin Hoods Bay for a lovely day out. Shop 3 miles, pub 50 yards. 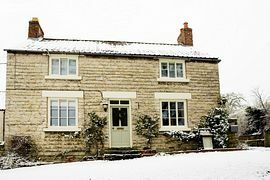 Rosedene & Strawberry Cottage share a beautiful large cottage garden, with views across the Vale of Ryedale, a pond, sitting out areas and a vegetable patch where guests are welcome to pick their own fruit and vegetables in season. Local Services: Just a short stroll from the Royal Oak Inn, serving meals, and the NT Nunnington Hall on the banks of the River Rye, with walled garden and 8 acres of organically managed grounds to explore. Nunnington lies in an AONB, between the Vale of York and the North York Moors National Park, surrounded by the beautiful scenery of the Howardian Hills. Castle Howard, Helmsley and Duncombe Park are nearby, Pickering is home to the NYM Steam Railway, whilst York is just 20 miles away. Drive over the moors to the coast at Whitby, Staithes and Robin Hoods Bay for a lovely day out. Shop 3 miles, pub 50 yards. Just one mile before Helmsley where the road bends to the left, turn right onto the B1257 signed Malton. After 2.5 miles turn left, signed Nunnington. After 1.5 miles you will see the village church. Turn left in the village, passing The Royal Oak on your left. The Cottages are just 50yds further down the hill, on the right hand side. Mid Week and Weekend Breaks from £135.00. 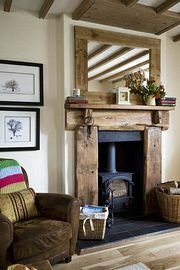 Awarded 5 Star from English Country Cottages based on Tourist Board criteria.